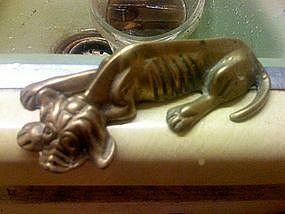 Vintage solid brass figurine. It is approximately 5 1/4 inches in length. The figure has never been polished. I need your zip code to calculate the postage.